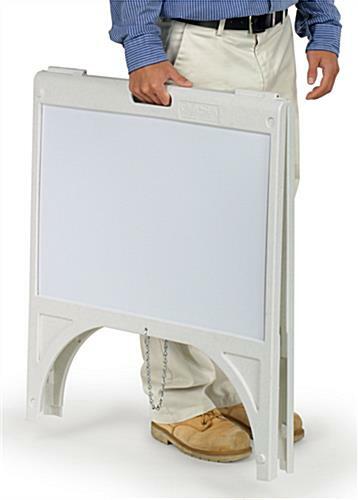 White exterior for a neutral colored display. 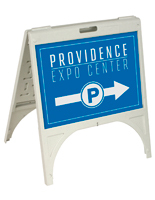 This sign supply has a 24" wide by 18" high surface onto which messages may be posted, although any size sign up to and smaller than this size may be attached to the sign face. 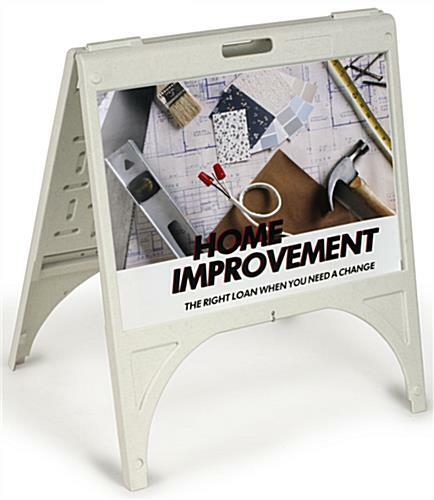 Attach multiple sized signs, promotional materials, or pictures to the face for a custom message your customers will notice. 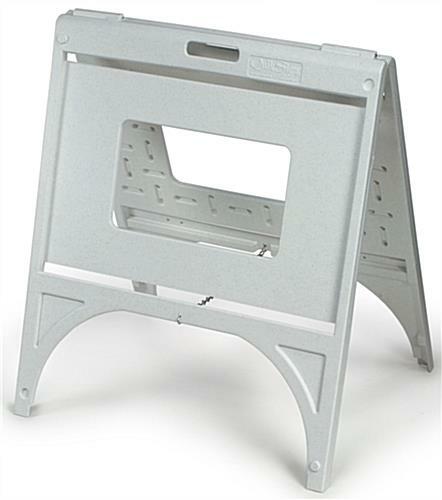 This sign supply is constructed of sturdy plastic that is almost indestructible and will not splinter or rust. 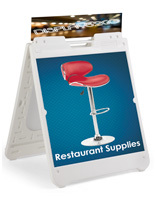 This lightweight and portable sign supply folds flat to make it easy to carry to place as well as store when not in use. 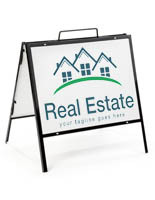 The sign supply is the perfect sidewalk sign for every storefront. 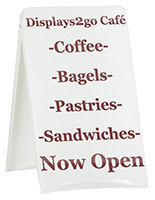 The commercial sign supply for sale with sintra inserts draws customers into your store that might otherwise pass you by. 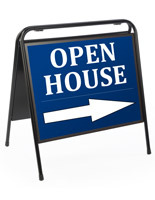 This outdoor sign supply, like a business sign, is a cost effective and useful marketing tool. 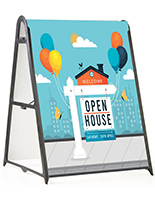 This sign supply is a double-sided a-frame sign holder. 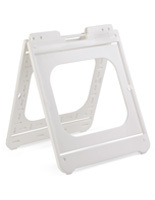 We provide two (2) pieces of durable, rigid satin white sintra with each sign. 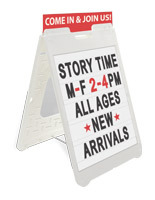 Attach vinyl lettering to create custom signs or tape signs to this board. Ready to ship sign supplies online! 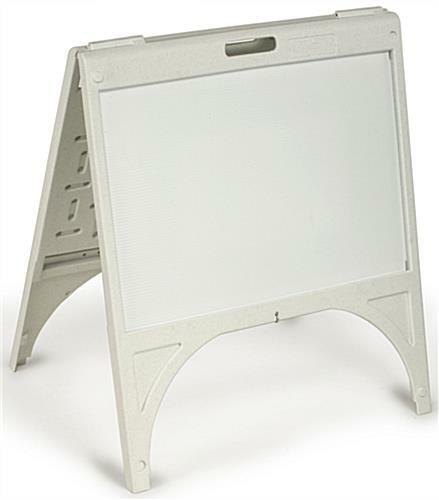 Please Note: The white Sintra® backboard panels are NOT intended for write on/wipe off use. 26.0" x 29.0" x 17.5"